Collector, Antique Auto, Car, Vehicle Insurance in North Little Rock Arkansas - Consolidated Insurance Consultants, Inc.
Consolidated Insurance Consultants, Inc. can help you find the right coverage for your collector or antique car for the right price. Collector cars and trucks have different insurance than regular auto insurance and at Consolidated Insurance Consultants, Inc., we can provide those options for you. 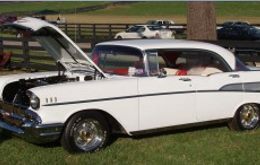 We can service your antique car insurance needs in North Little Rock Arkansas including the Benton, Bentonville, Bryant, Conway, and Fayetteville areas.